Our land surveying services are scoped to meet your specific project needs. Our experienced surveyors have worked on many different types of surveys and development projects. 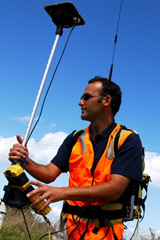 We use the latest survey instruments and software to attain accurate field surveys in a timely manner. Our surveying services are a valuable asset when you need information for your design plans or your contractors working in the field.